Freshmen Danielle Ellis and Kendra Allen led the Massachusetts softball team to a sweep in its doubleheader with George Washington on Saturday, as the Minutewomen earned a nail-biting victory in game one and a dominant victory in game two. The story of the game was the play of freshmen Danielle Ellis and Kendra Allen. 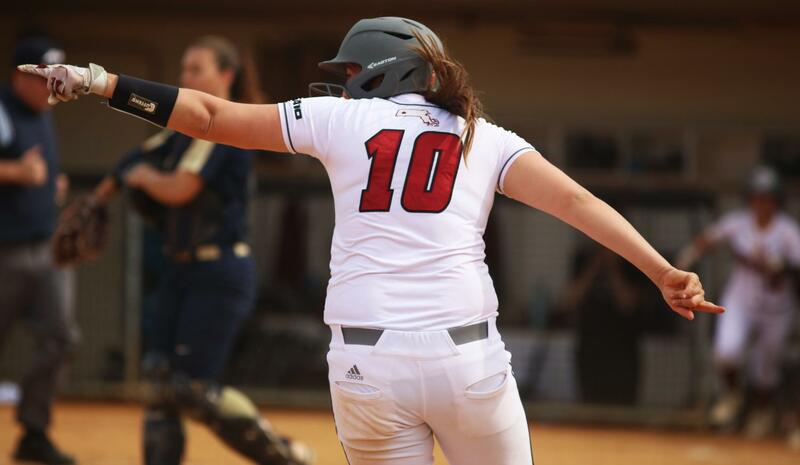 They gave massive contributions with their bats that led the Minutewomen (19-15, 7-1 Atlantic 10) to a 4-3 extra-inning win in the first game and a 14-1 victory by mercy rule in the fifth inning of the second game. Danielle Ellis, who committed to George Washington in the early stages of her recruiting before decommitting and coming to UMass, was starting her first conference game. Ellis went 5-for-5 at the plate and walked twice over the two games. In the first game, she was the only starter able to generate any sort of offense, going 3-for-3 at the plate and drawing a walk while also scoring on Allen’s home run that tied the game. In the second game, Ellis continued her hot streak, going 2-for-2 at the plate with two RBIs and a walk. She was not the focal point of the offensive explosion that the Minutewomen had, but she was definitely a contributor. Kendra Allen had herself a day as well. The freshman came into the weekend with just 24 at-bats, but made the most of her pinch-hit opportunity. In the bottom of the sixth inning of game one, with the Minutewomen down 3-1, Allen blasted a shot over the left field wall that tied the game up. In extra innings, she would walk to load up the bases before Madison Gimpl’s game-winning hit. Allen carried that momentum forward after being inserted into the starting lineup in the second game, where she would go 1-for-2 at the plate with a walk and score a run. The two freshmen were a part of the two biggest moments of the doubleheader, each being a part of the game-tying home run and also being on base for the game-winning hit.